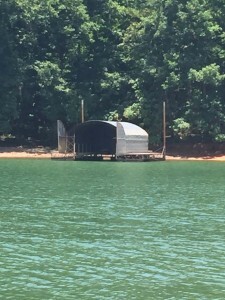 We have two more docks that have been abandoned along the shoreline of Lake Lanier and we are trying to identify the owners of these docks in order to determine the removal and disposition plan for these eyesores and safety hazards from Lake Lanier.One is close to Duckett Mill Park and the other is just above the Wahoo Creek/Mt. Vernon Road bridge. Both docks have been at their current locations for multiple weeks. Please look at the photos and brief descriptions below. 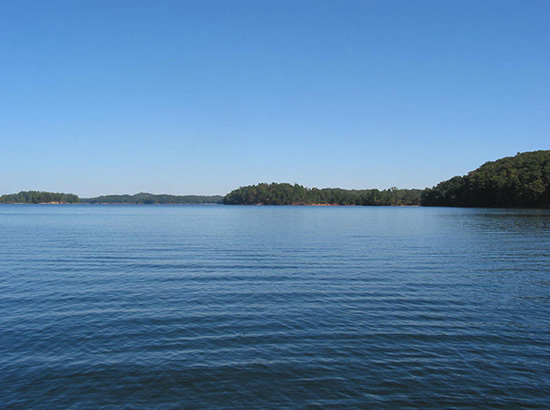 If you know anything about either of these docks, please contact the Lake Lanier Association to help us in our investigation. Your identity will be treated as confidential. 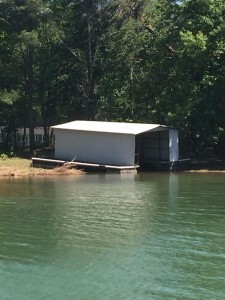 The first dock is a single slip Quonset hut style dock. It is partially dismantled and is currently located very close to the boat ramp at Duckett Mill park. The second dock is a single slip with upper deck dock. It is currently located on the northeastern shoreline area above the Wahoo Creek bridge. We think this dock got to its current spot from a location farther north on Wahoo Creek. ALERT, we have a platform dock that was dumped in a cove in Four Mile last night. 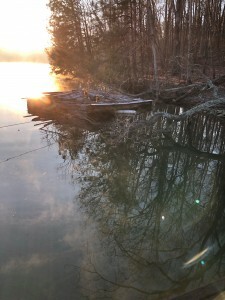 Below are a couple photos of the dock. 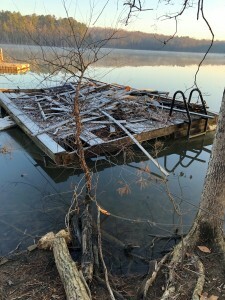 It is a swim platform style dock with lots of wood debris piled on top and a swim ladder installed on the side. 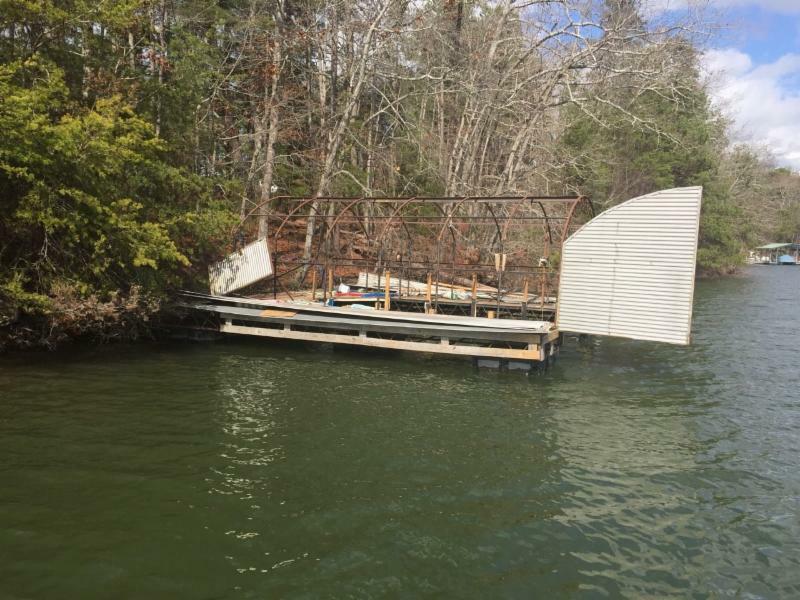 If anyone is familiar with a dock similar to this installed at a private property location that is no longer at that installed location, please contact us at lakeinfo@lakelanier.org with any information you have related to this dock. We will not release your name in this matter. As part of our work on keeping Lake Lanier Clean and Safe, we have recently been working on trying to resolve two separate abandoned boat house issues. Below are photos of each of these boat house style docks. The first was discovered abandoned in the Two Mile Creek area. The second was discovered in the Young Deer channel area. 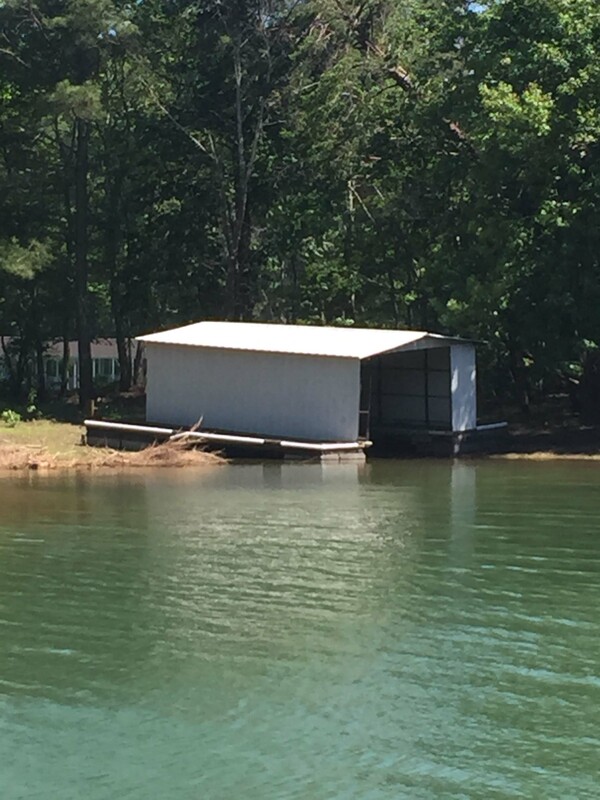 If you have any information about where these docks may have come from, please contact the Lake Lanier Association at lakeinfo@lakelanier.org or by phone at 770.503.7757. You may remain anonymous in giving any information on these docks.